Toronto Mayor John Tory called on the Ontario Liberals to commit money to a new subway line that would link Line 2 with the city's downtown core. Tory made his plea alongside Ward 30 Coun. Paul Fletcher and TTC Chair Josh Colle at the corner of Queen Street East and Carlaw Avenue, on the proposed route of the new line, often referred to as the relief line. He said if the province steps up with funding for the $6.8 billion project, "we could have a subway running beneath our feet." Tory said he's hoping to see in the upcoming provincial budget "a very firm indication of their intention to partner with us on these priority projects." "I think for us not to proceed with these projects together as a partnership would be letting down the people of Toronto," he said. "The time to keep funding and to commit to building is now." TTC CEO Andy Byford has pointed to the need for a new subway line that would run between the downtown core east of the Don River and connect with Line 2. The line would ease congestion on Line 1, which often runs at or above capacity during rush hour. In its recent budget, the federal government committed billions for Toronto transit projects, with the final total expected to be about $5 billion, based on the city's ridership numbers. And while the province committed $150 million last summer in planning money for the relief line, Tory said he'd like to see a firmer commitment from the Wynne government for construction costs. In the past he's talked about each senior level of government covering 40 per cent of the cost, with the city picking up the rest. "We can't put shovels in the ground until we have the money," said Tory. As CBC reported Wednesday morning, the preferred route of the relief line may end up running under Carlaw Avenue instead of Pape Avenue — as originally planned — after residents raised concerns that subway vibrations could damage the foundations that support Pape's turn-of-the-century homes. Public meetings held earlier this month revealed Carlaw has become the preferred route for the proposed subway line beginning south of Gerrard Street. Coun. Fletcher jokingly spoke of the new "Leslieville station" at the site of Wednesday's news conference. Staff recommended Carlaw as a better route for a relief line in the east end because Pape shrinks to a single-lane road south of Gerrard Street East and is lined with single-family homes. Staff found that Carlaw's wider right-of-way and the fact that it has more mid-rise buildings made it a better fit. It's unclear how much switching the alignment from Pape to Carlaw would cost taxpayers. The report indicated it would be more expensive, but didn't supply any figures. 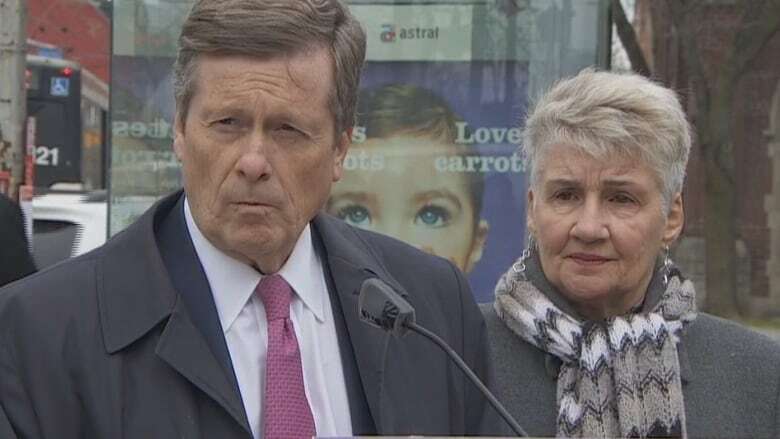 The route change has yet to be approved by Tory's executive committee and by council, which will vote on the changes on May 16 and May 24, respectively. To limit the vibration, the tunnel for the new subway route will also be much deeper than that of the Bloor-Danforth line, which sits only nine metres below the surface — roughly the height of a three-storey building.